Often your skin becomes the battleground of acne, dark spots, pimples and skin rashes and the only thing that gets beaten is YOU! I have been blessed with a healthy and clear skin, apart from the fact that my complexion was a little on the darker side. Anywhichways, I had no real complaints, until now. In the past six months, I experienced some grave skin issues like acne, blemishes, large pores and an uneven skin tone. There was practically nothing that I didn’t try. From Olay to L’Oreal to Neutrogena to Body Shop, nothing could help me find back my almost flawless skin. My search for that magic potion continued when one day I decided to take a break from all these synthetically manufactured products and switch to some home ubtans for a while. It was then when I finally discovered it – the superlative Vitamin C serum. Vitamin C helps in the repair and renewal of the dead skin cells, keeping the skin fresh and healthy looking. Skin cell renewal is a natural and continuous process that keeps on occurring as we sleep. However, sometimes, our skin requires that special care, especially as we age or during some major life events such as pregnancy or excessive exposure to the sun. Therefore, adding Vitamin C to your skincare regime may prove to be highly beneficial. Vitamin C plays an inordinate role in enhancing the collagen production in our bodies. Collagen is something that provides our skin the much-required elasticity. If the collagen breaks down, wrinkles begin to appear. Thus, by promoting the collagen production, Vitamin C helps to keep our skin healthy and wrinkles at bay. It is also an appreciable tool for counteracting those ugly age spots. Turns out, it is a powerful antioxidant that protects our skin against the harmful action of UV rays and age spots. I am sure you must not have imagined this modest vitamin that you have been taking for your internal health could do such great wonders for your outward well-being as well. Collagen is a naturally occurring ingredient that is present in our body in huge quantities. It is responsible for the suppleness and plumpness of our skin. However, with age, the collagen production begins to slow down making our skin loose and wrinkle prone. Topical vitamin C serums help to stimulate the collagen production, thus eliminating the active signs of ageing. Vitamin C offers a substantial amount of protection against the harmful UV rays. 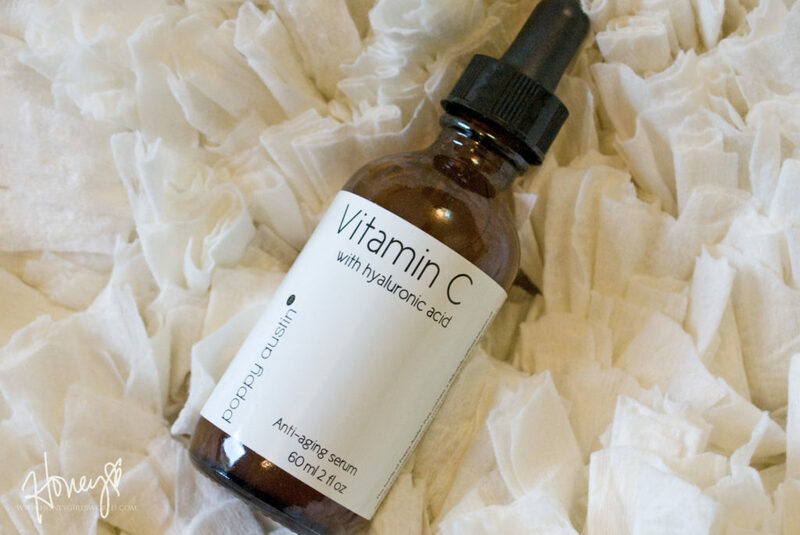 Vitamin C acts as an ideal sunscreen when used in conjuction with a good SPF. 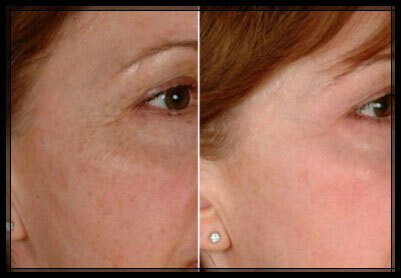 It is also known to improve the visible signs of sun damage such as fine lines and skin discoloration. Being a powerful antioxidant, it is known for reversing signs of ageing and diminishing age spots. Vitamin C serums are super strong natural bleaching agent that lightens the skin tone, along with the dirty dark circles and age spots. Also, by reducing the number of sunburned skin, it treats any skin redness and inflammation caused due to the action of sun. Well, there are numerous forms of vitamin C available in the market. However, the best and the purest form to be used for your skin is L- Ascorbic Acid (LAA). It is highly soluble in water. Magnesium Ascorbyl Phosphate is another widely available form of vitamin C. Personally; I feel that LAA is much more feasible as it can permeate the skin better. Also, it has the strong antioxidant effect among all the other forms. 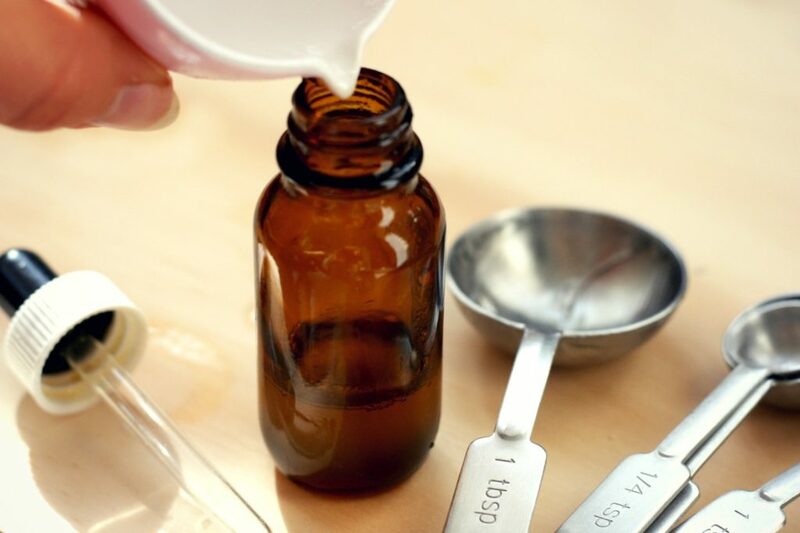 It is advisable that for your DIY Vitamin C serum, you should abstain from using any metal utensils. Make use of a glass or a plastic spoon for mixing the ingredient together. Vitamin C is extremely sensitive to light, and that is why the use of it is not recommended during the daytime. It should be stored in amber or a blue tinted container so as to prolong its shelf life. It becomes much easier and hygienic to dispense the serum if the container comes with a dropper. Apart from this, you will also require some measuring spoons and a funnel for accuracy. When it’s about vitamin C, it is crucial to determine the pH of the serum you are going to use. The ideal pH level should be around 3.5. a level higher or lower than this can cause grave reactions in your skin. Sometimes, while making the serum, if the favorable conditions are not maintained such as if it’s exposed to light then the pH of the serum can go down. This can make your skin irritated and burned. However, if the pH of the serum is higher, it renders it practically useless. The base is fundamentally the agent that you use for your serum in order to dissolve the vitamin C powder. Generally, distilled water or glycerin or sometimes both can be used together to make up for a good base. If you only use distilled water, then your serum will be too watery to apply. So it is always better to add a little amount of glycerin to the solution. Apart from thickening the serum, it has multifarious moisturizing benefits for the skin as well. Making your own vitamin C serum for your face is as easy as fixing your favorite morning smoothie. All it takes is a short trip to a nearby pharmacy or perhaps a local health food store along with a few minutes of preparation time. Following that, you can benefit from this fresh and effective vitamin C serum that you availed at almost one/tenth of the cost of a branded one. Before beginning with the preparation of a vitamin C serum, it is important to know that the strength of the serum is usually represented by different percentages. A 10% solution contains 10% of LAA and 90% of base. Similarly, a 20% solution will have 20% LAA and 80% base. If you are presently using a 10% solution then you graduy shift to a 12% or 15% first, before trying out the maximum 20%. It is advisable to not go beyond the value of 20% as that can prove to be harmful for your skin. In case there are any signs of skin inflammation or redness, go back to using the original 10%. Mix the Vitamin C powder in the distilled water until all the lumps are fully dissolved. Once the mixture has become even, add the stated amount of glycerin. The pH of the solution at the moment should be between 2.5 to 3.5. 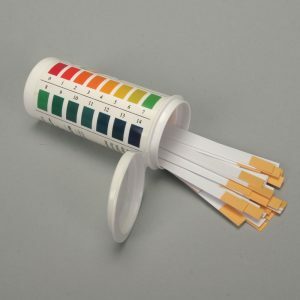 Use a pH strip to determine the pH level. If the pH of the mixture is less than 2.5, it signifies that it is too acidic in nature. Slowly add some more distilled water in order to balance the solution. Make use of a funnel and transfer the serum to a tinted air tight container. Also, make sure it is stored in a place away from sunlight. Note: if you do not want to add glycerin to your vitamin C serum, you can replace the mentioned amount of glycerin with water. However, it is essential to keep in mind that adding a lot of water and no glycerin can make your solution runny. Hyaluronic acid is an excellent ingredient for people with a sensitive skin type. It has the ability to retain moisture and can successfully treat skin inflammation. If you have an acne prone skin, then you should definitely try adding hyaluronic acid to your face serum. Dissolve the vitamin C in distilled water and mix well till the time; both of things are thoroughly mixed. Add Hyaluronic acid and mix well. Closely resembling the skin’s natural oil i.e. 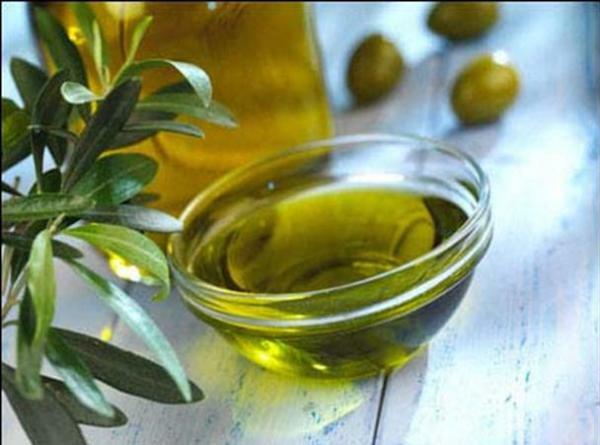 sebum, jojoba oil is a great skin ingredient especially for people with a dry skin. It helps to retain the necessary skin moisture and also acts as a robust alternative to glycerin. Before going to bed, wash your face thoroughly with a good face cleanser and follow by using a toner. After this, just apply a little quantity of homemade Vitamin C serum and then a moisturizer. Make sure to gently shake the bottle of serum before every use. The next morning, simply rinse your face before setting out in the sun or applying any kind of makeup. 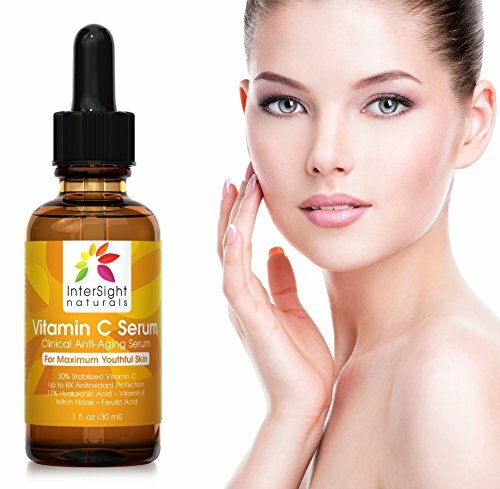 It is important to note that a vitamin C serum should never be used during the daytime due to the exposure to the sun. One of the major reasons why most of the people quit the usage of their vitamin C serum is that are extremely impatient. When it comes to a vitamin C serum, even if it is a readymade one, it cannot give you results right away. It might take around 3-6 months before you can witness any visible changes in your skin. So if you plan to use this amazing serum, pledge to apply it religiously and follow with the application of a good skin moisturizer in order to negate any drying effects of the serum. How to Store your DIY Vitamin C Serum? After making the serum, transfer it to an airtight and tinted container. You can keep in in the refrigerator to prolong its life. Another great idea is adding a stabilizer to your serum. 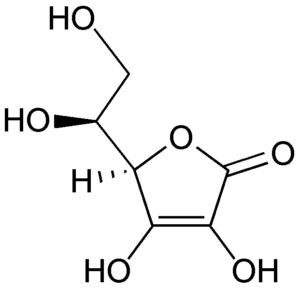 Ferulic acid is a great stabilizer that also exhibits essential antioxidant properties. These serums can last for 2 days up to 2 weeks. It is, therefore, imperative to always use a pH strip and test the serum before using it. A DIY serum is a great option if you are seeking to save your hard earned money and at the same time looking to pamper your skin. A vitamin C serum can have amazing benefits for your skin, but thus serum is just as good as your preparation. If you make use of a wrong base or perhaps go wrong with the storage, the serum will lose all its significance. Worse, it may cause acute skin reactions. So therefore if you plan to make your very serum, it is obligatory that you be really on point with the above-listed specifications in order to reap all the benefits.